Park City School District wants to know what direction students are headed when it comes to exploring their interests and future careers. In an effort to help students find their truth north, the district is hosting a Career Compass Event on Feb. 12 from 5-7 p.m. at Park City High for students and families (grades 5-11). 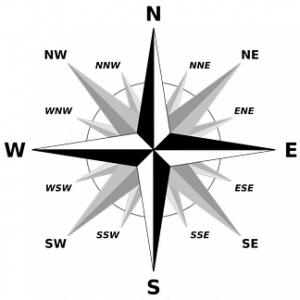 The compass is the key theme of the event, with the four cardinal directions representing Ecker Hill Middle, the intercardinal direction representing Treasure Mountain Junior High, and the secondary intercardinal direction representing Park City High — each narrowing the focus as students proceed from school to school. The evening begins with a keynote remarks by McCauley Finnegan, a 2015 Park City High graduate who is currently enrolled in the Business Scholars program at the University of Utah, and Ishan Chho, a current student at PCHS. The event will feature more than 30 breakout sessions, each hosted by a teacher and an industry professional. The professional will discuss the career field and what skills, experience, and knowledge students need to gain in school. The teacher will talk about what classes and clubs are available to support that specific career, and present a pathway of classes in middle school, junior high, and high school to explore the career. Sessions include: hospitality and tourism, photography, digital design, construction trades, engineering, architecture, apparel design and production, fashion, interior design, aviation, banking and finance, healthcare, legal advocacy, biomedical, art, and filmmaking. Representatives from Ecker Middle, Treasure Mountain Junior High and PCHS will provide registration information sessions. Additional sessions will be provided by PCCAPS, the Park City Learning Academy, Bright Futures, Park City Education Foundation, Miner Athletics, An Hour of Coding, and Blended Learning at PCHS. Fisher said this event is really about providing information so students can progress through PCSD schools and refine their interests and begin developing a plan to focus and deepen their knowledge base and skill sets towards their plans for the next stage of life. Park City High School’s China Exchange program has existed for more than 25 years and is the longest standing high school student exchange for both the U.S. and China. Shirley Smith and Val Chin, both long-time Park City residents, initially established the program. Knell said many of the students who have been part of the exchange program maintain friendships with their exchange group and their Chinese counterpart for years to come. 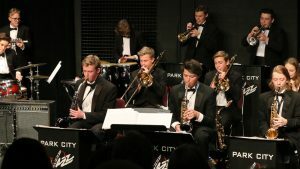 The Park City High School Band Department received some great news this week, including honors from the Utah Bandmasters Association, the Utah Music Educators Association, the Honor Orchestra of America, and the Utah All-State Jazz Band. Jazz Educator of the Year: Chris Taylor, Director of Band, has been named Utah Bandmasters Association’s Jazz Educator of the Year. This is the second time in four years he has received this honor. To earn this award, Taylor’s jazz groups demonstrated excellence of the highest degree in the 2016-17 school year. 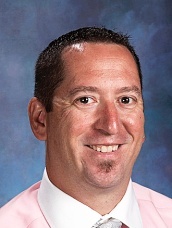 He is one of four educators in the state to receive this award this year, and is the only teacher not from a 5A or 6A high school to receive the award. Taylor will receive his award and recognition at the upcoming Utah Bandmasters Association Conference. In addition to the JV and Varsity Jazz Ensembles, Taylor also directs the Wind Ensemble and Symphonic Band. 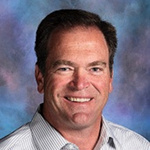 Administrator of the Year: Former PCHS principal Bob O’Connor has been named as Administrator of the Year by the Utah Music Educator’s Association. This award was based on nominations earlier this school year, well before O’Connor took a leave of absence from Park City High. His nomination and award is based on his years of continuous support of the Park City High and Treasure Mountain Junior High music programs. “Bob is an advocate for music in every way,” said Bret Hughes, Director of Percussion. “He found a way to be at many school concerts, always came to wish our students good luck prior to competitions, and was present in New Orleans when the Advanced Percussion Ensemble performed in front of 6,000 people at the National School Boards Conference. He was also on the curb of Kalakaua Ave one year ago when the Marching Band represented Utah in the 75th Anniversary Pearl Harbor Parade. The PCHS Music Department will be accepting the award in his honor at the upcoming Utah Music Educators Annual Conference. Honor Orchestra of America: Michael Barski, a senior at PCHS, has been selected as a trombone player in the Honor Orchestra of America. This is a national honor group selected completely by blind audition. Barski is one of three trombone players in the country selected to perform with this ensemble. He will travel to Indianapolis, Indiana, in March to represent PCHS and PCSD in the Music for All National Festival where the orchestra performs two joint concerts with the Indianapolis Philharmonic. All-State Jazz Band: Jonas Peterson, a junior who plays tenor saxophone, and Dylan Wolfe, a senior who plays bass trombone, have been selected to represent the high school in the Utah All-State Jazz Band. The band is an honor group representing all UHSAA classifications of schools based solely on audition. These two represent two of only four students selected from 1A-4A high schools. They will be among the 19 best jazz musicians in the state next week when they perform at the closing concert of the Utah Music Educator’s Annual Conference in St. George. All-State Band: The Utah Music Educators Association annually recognizes the top 120 band students in Utah by naming them to the All–State Band (some of them also get assigned to perform as part of the All-State Orchestra). The following students from Park City High School performed at the All-State Gala on Jan. 20 at Abravanel Hall in Salt Lake City: Marco Zanetti, E-flat clarinet; Bailey Landis, bass clarinet; Michael Barski and Nathan Wales, trombone; Connor Ball, euphonium; Jordan Fajardo-Bird and Joe Dinger, percussion. These seven students from PCHS represent more than 30 percent of the students selected from all of the 1A-4A high schools in Utah. 75th Anniversary of Allied D-Day Invasion in France: Additionally, the Marching Band has been selected to perform in Normandy, France, in 2019 for the June 6 parade marking the 75th Anniversary of the Allied D-Day Invasion to liberate France. 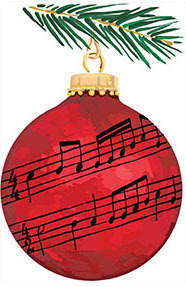 The Holiday Extravaganza, performed by student musicians Dec. 7-8, isn’t a typical concert. The audience is invited to wander around to the different venues at the Eccles Center to experience the 17 music ensembles from Park City High and Treasure Mountain Junior High. The Extravaganza is Dec. 7-8 from 6:30 to 8:30 p.m. and admission is free. “The ability to showcase every performing group from TMJH and PCHS during the two-night Holiday Extravaganza helps our department accomplish our goal of supporting each other’s program through exposing our students to various genres of music present within PCSD,” Hughes said. “It is also great for the parents of our students to be able to watch the other performing forces in action and to see an ensemble they may otherwise not see. The format of the concert allows the concert attendee to choose their own adventure, and experience music of their choosing.”Hughes also said the evenings of music provide a chance for parents to show their elementary-age children the types of music taught at the secondary level. The following groups will perform Thursday: 8th Grade Band, Symphonic Band, Wind Ensemble, TMJH Jazz Band, JV Jazz Band, Varsity Jazz Band, 8th Grade Choir, Jazz Choir, Percussion 2, Percussion 3, and Advanced Percussion. Ensembles performing Friday are: Wind Ensemble, Varsity Jazz Band, Jazz Choir, PCHS Chamber Choir, 8th Grade Orchestra, Symphony Orchestra, Chamber Orchestra, Full Orchestra, Percussion 3, and Advanced Percussion. The music faculty include: Bret Hughes, Director of Percussion, Chris Taylor, Director of Concert and Jazz Bands, Scott Tanner, Director of Orchestras, and Christin Abbott, Director of Choirs. The theater department at Park City High School is bringing awareness to its department and high school talent during its first-ever PCHS Got Talent on Dec. 14. The talent show will be performed at an all-school assembly during the day hosted by the students council. That night, the show will be open to the public at 7 at the Eccles Center, hosted by Rick Kimball and Griffin Childers. Tickets are $5, with proceeds supporting the theater department. Foreign Figures will be the guest artist for the evening show. Foreign Figures is a Utah-based indie pop group formed in late 2014 by brothers Eric and Steve Michels, Seth Dunshee, and Jonny Tanner. All Utah natives, the band met while attending Utah Valley University. They call themselves Foreign Figures as a nod to the time that each member spent living in a foreign country, as well as the band’s interest in connecting with all types of people around the world.